GSC has been providing challenging and life changing service-learning volunteer work, internship and student experiences in seven countries since 1993. 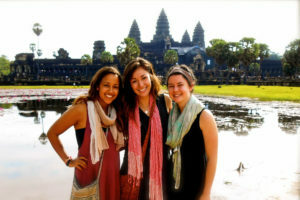 Join us on a Sojourn, Volunteer, or Student service-learning program addressing global issues and inequities through our Cambodia programs. This is your opportunity to make a difference in our global community! LATEST NEWS: Click here to learn more about GSC's 25th Anniversary Special Program. 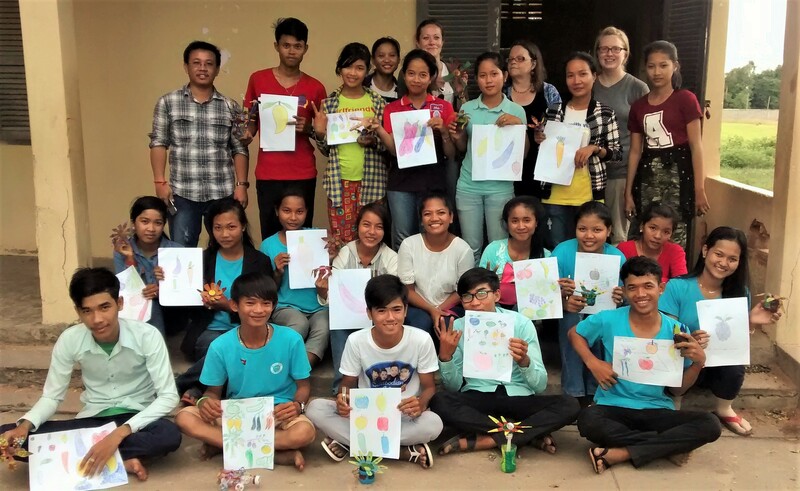 Make a difference in our global community by working closely with Cambodian NGO’s and other community development professionals assisting disadvantaged people. 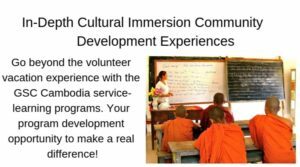 GSC offers students the opportunity to combine academic work, cultural immersion and internship experiences with Cambodian NGO's and other community development professionals. GSC will work with your college program or advisor to provide service-learning programs for credit. 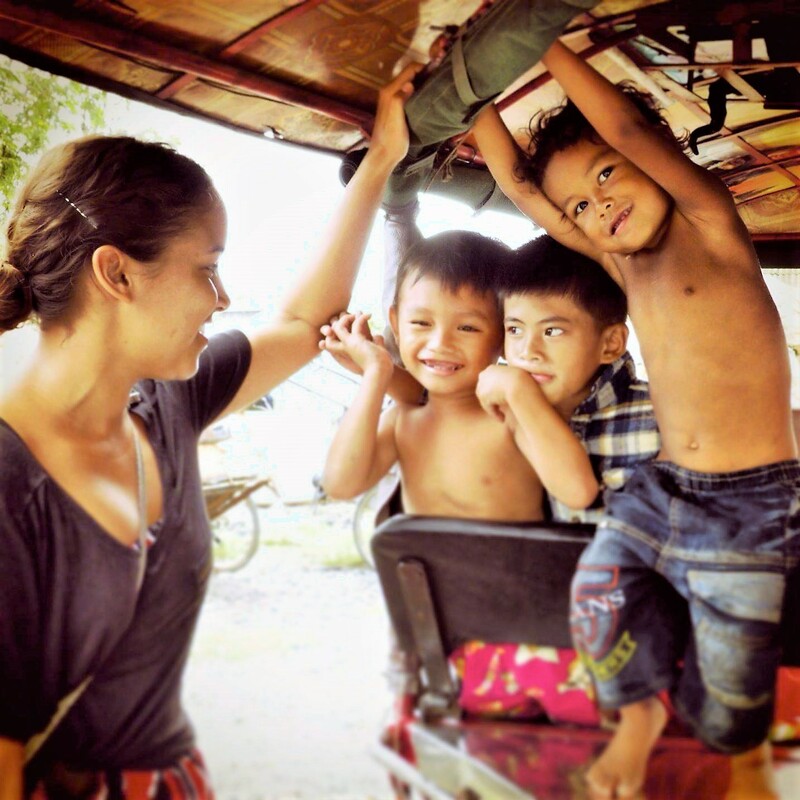 Want to spend your two- or three-week vacation time serving disadvantaged people in Cambodia? 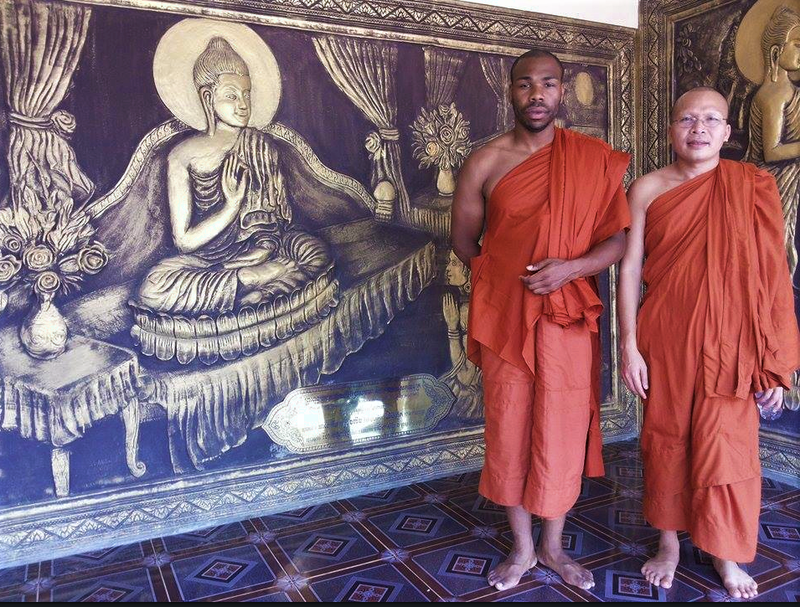 GSC offers you this opportunity including cultural and historical excursions, and accommodations in an urban or rural homestay, a Buddhist wat or urban apartment while volunteering and serving a local community.